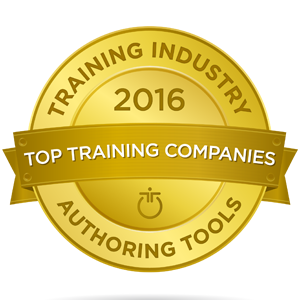 Hurix, a leading digital content solution provider, has been named to the Top 20 Authoring Tool Companies list by TrainingIndustry.com. Hurix’s win was announced on January 14, 2016. Hurix earned its place on the list for Dictera, its cloud- based digital content authoring tool. 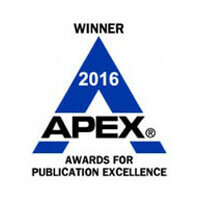 The selected 2016 Top Authoring Tools List Companies demonstrated excellence in many areas, including: Leadership and innovation, Features and capabilities of the Authoring Tools, Company size and growth potential, Company focus on the authoring platforms, Strength and number of clients/users and Geographic reach. Being in the industry for over 15 years, with a strong team of 600+ eLearning specialists on board, Hurix has helped 330+clients worldwide, developing 800,000 hours of engaging bespoke content for corporates, institutions and publishers. “We are excited to see Dictera being showcased in the Top 20 Content Authoring Tool list! Our clients love Dictera®’s revolutionary approach to interactive HTML5 content development through its cloud based collaboration and authoring platform,” says Srikanth Subramanian, EVP – Sales and Product Solutions, Hurix Systems. “Dictera offers a library of over 40 pre-existing templates of varying complexities to create rich, interactive eLearning content while retaining their own ecosystem, thus saving money and time on both technological and management fronts”, he added. “Despite continued consolidation in the Authoring Tools segment in 2015, this year’s Top Authoring Tools companies remain the key players in this market and provide their users with technology-rich, engaging tools and features.” said Doug Harward, CEO of Training Industry, Inc.
Hurix is the leading digital content solutions provider to global educational publishers, institutions and corporate clients. Hurix Services provides effective, compelling, and engaging digital content, across traditional and all mobile platforms, formats and devices. Hurix has won multiple awards (Brandon Hall 2013, 2014 & 2015) for its platforms, KITABOO and Dictera in the field of learning technologies, Mobile & Content Authoring. Hurix has been recognized by the World Education Congress as one of the ‘25 Best E-Learning Companies’ and is among the leading training outsourcing companies’ watchlist by the Training Industry Inc. Recently, Hurix has won 2015 Red Herring Top 100 Asia Award. TrainingIndustry.com spotlights the latest news, articles, case studies and best practices within the training industry, and publishes annual Top 20 and Watch List reports covering many sectors of interest to the corporate training function. Our focus is on helping dedicated businesses and training professionals get the information, insight and tools needed to more effectively manage the business of learning. Aditya Chakravarthi, aditya.c@hurix.com , +91-22-61914888. Hurix Systems Pvt. Ltd.